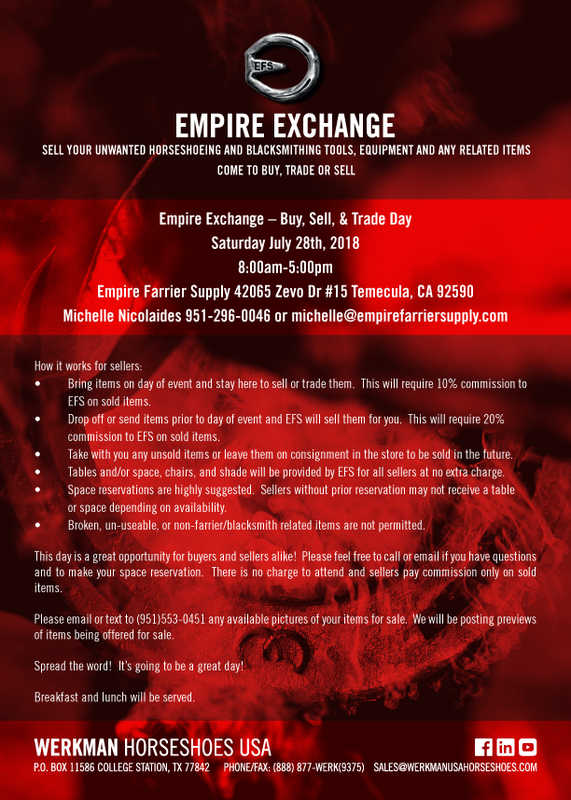 We are hosting our inaugural Empire Exchange Day on July 28th, 2018. You are welcome to come and bring your unwanted horseshoeing and blacksmith tools and equipment to sell or trade with others. 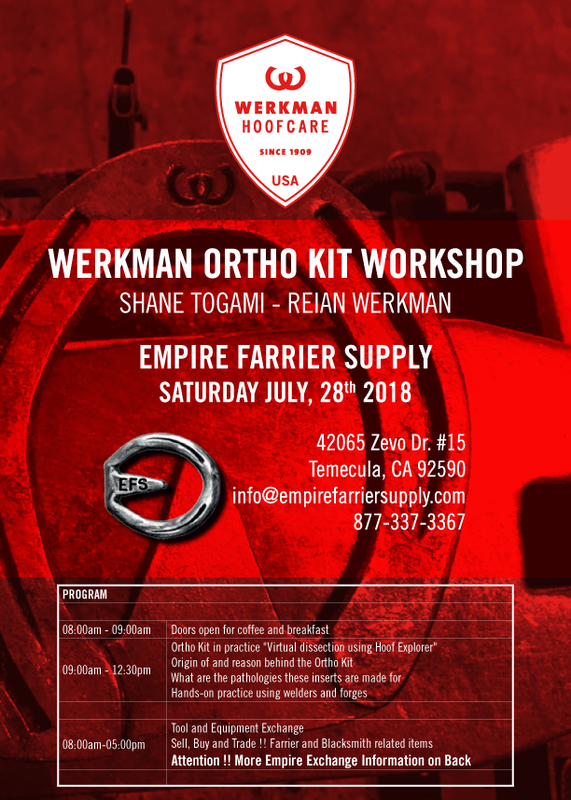 This will be in conjunction with the workshop with Werkman on the same day. Lots going on – we look forward to seeing you here! Sign up for our newsletter and stay up-to-date on the latest news from Empire Farrier Supply.